Up for grabs is a Kingston 64GB Class 10 UHS-I Professional SD Card with USB 3.0 Card Reader, as seen on the Kingston website and at Amazon.com. Take advantage of higher class rated memory cards for faster capture performance with your digital camera. Whether you record video or shoot fast photos, get the most flexibility with a speedy Kingston SD High Capacity (SDHC) and Extended Capacity (SDXC) memory cards that fits your camera and shooting style. 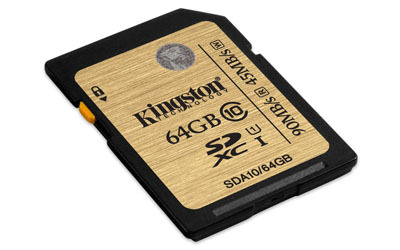 Never miss a moment with Kingston's reliable Class 10 SDHC/SDXC cards. We are finally up and running after a little delay while I was confirming which model was up for grabs!! Congrats Mike. Great pick with the Bengals! Thanks. I was getting worried in the third quarter until the Bengals' interceptions in the fourth quarter. I think I have your info - but to confirm, please PM me with your name, address, phone, and email so I can get the prize shipped out. Wow, great list of prizes for next week. 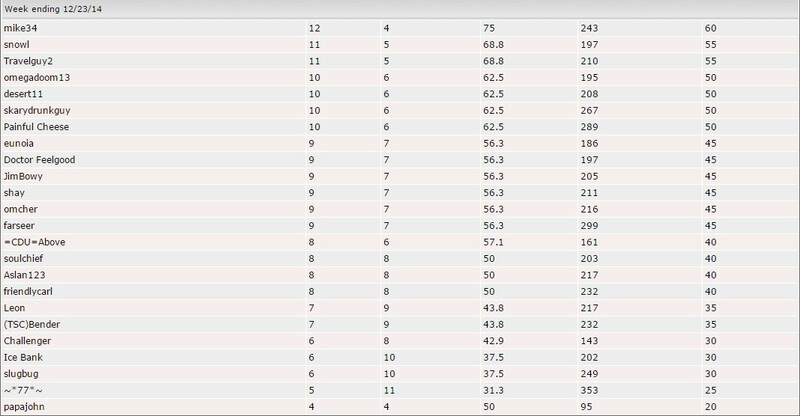 It's always hard to predict the final week of the season because many teams will rest players to get ready/healthy for the playoffs.